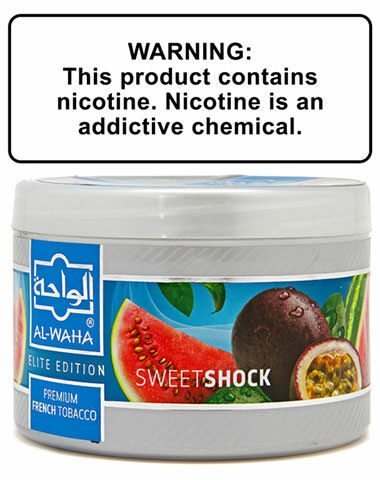 Sweet Shock from Al Waha shisha tobacco combines the juicy flavors of watermelon with sweet flavors of passion fruit for a shockingly sweet hookah tobacco session. Mix it with some mint to a cooling effect to your hookah session! Sweet Shock Al Waha Shisha Tobacco has a average rating of 0 stars out of 5 stars based on 0 reviews.